Ducati recently revealed its new scrambler series Cafe Racer, Flat Tracker and Desert Sled. 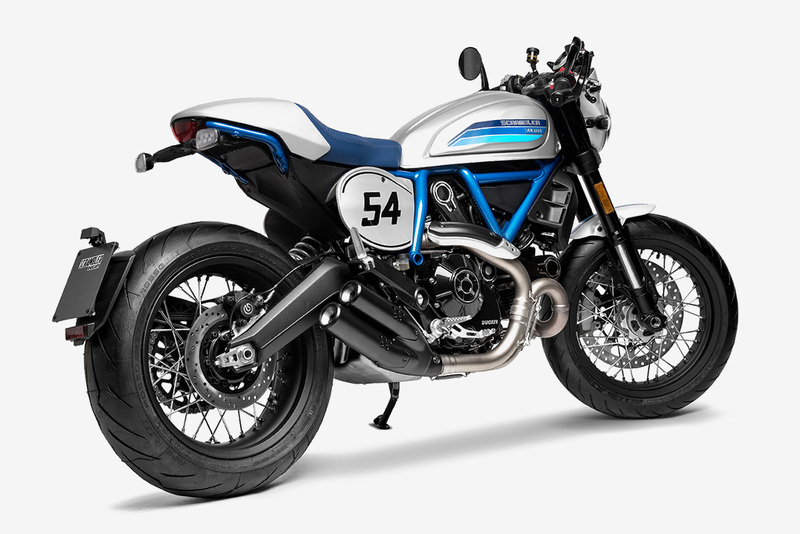 Out of those three Ducati Scrambler Cafe Racer is the one which stole the show. 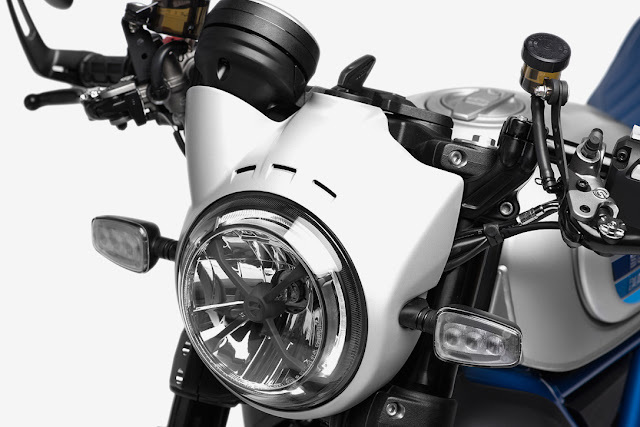 It has the classic looks of 60s and the design is inspired for the Ducati 125GP Desmo. The bike got the shiny silver color with the triple shades of blue stripes. 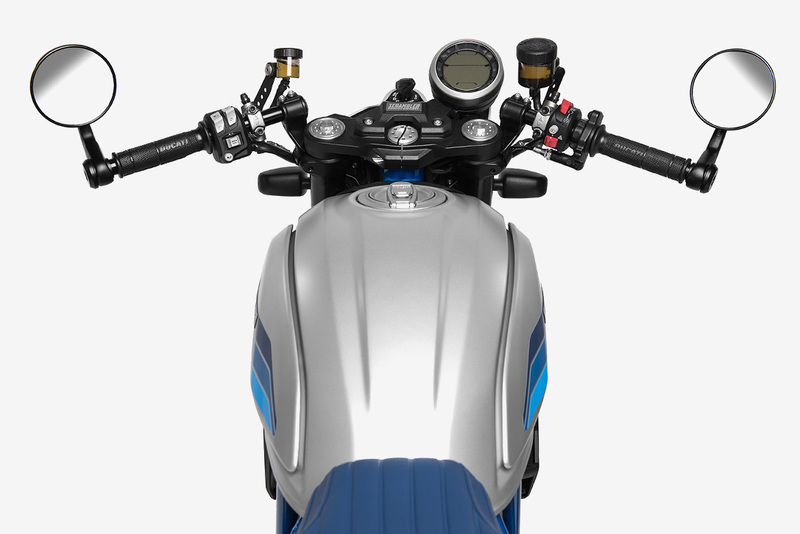 Bike has 17'' spoke wheels, clip on at the end of Handlebar, Blue leather seat for the contrast to the color scheme, Number 54 mark on the side panel in the remembering of Bruno Spiaggiari, former GP Racer. Round LED headlight and the dual exhaust tip makes it more desirable. It is powered by the Electronic fuel injection Desmodromic L Twin engine which can provide 73 hp and 49 lb ft torque. The pricing are yet to be revealed.